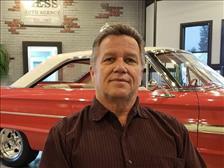 Gary Hess began his career in the car business in 1960, at the age of 21. After years of successfully selling and managing numerous dealerships, Gary and his youngest son Kirk started Hess Auto Agency in 1985. It was his vision, dedication and integrity that our company was founded upon. These principals remain as a constant model for both our business and our lives. Kirk Hess, along with his father Gary, is the co-founder and 2nd Generation General Manager of Hess Auto Agency. He has been with the dealership since its inception in 1985. With over 30 years of experience in the auto industry, Kirk continues to locate the area's finest pre-owned vehicles. He and his wife Sherry, have four children, and six grandchildren. 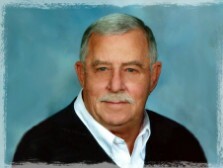 Jeff Harper has been in the Automotive Sales Industry since 1974, and joined the team at Hess Auto Agency in 2011. As our Sales Manager, Jeff will strive to do whatever he can to give you the best deal on a vehicle that you'll love! Jeff and his wife Sue have two children, and two grandchildren. Eric Hess is the Internet Sales Manager of Hess Auto Agency, and the third generation of his family at the dealership. Eric came aboard the business in 2012. He handles the upkeep of online inventory and web-services at Hess Auto, as well as sales. Eric has two of the best dogs you'll ever meet. 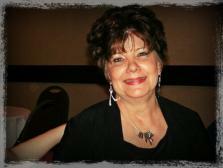 Gail Hess Costigan has been with Hess Auto Agency since the start of the business in 1985. She's the reason everything stays in balance around here! Gail and her husband Larry have four children and seven grandchildren.